Today I visited the centre of the world (La Mitad Del Mundo) with my Spanish teacher. 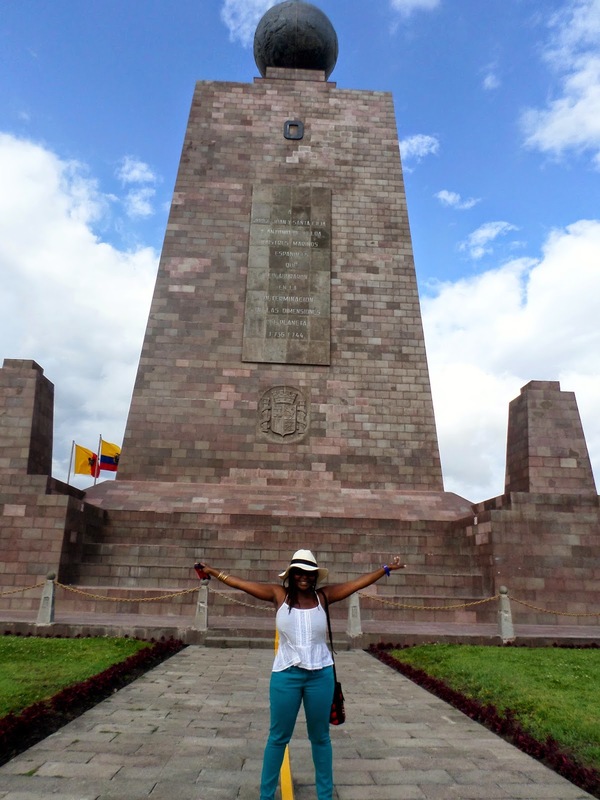 He had asked me about the places I wanted to visit around and near Quito and I mentioned La Mitad del Mundo so he suggested accompanying me there as part of the day's school activity. 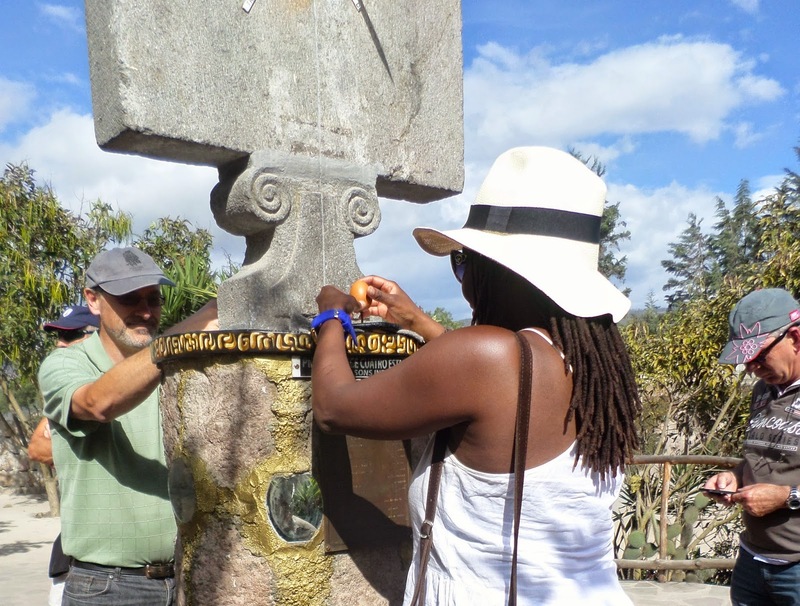 Ecuador is one of the countries that lies along the equator and the area where supposedly the middle of the earth is, is very popular with tourists. There is a big monument that was built to commemorate the spot but turns out the site of the monument is slightly off but that doesn't stop tourists from visiting the monument and taking pictures to show that they have been at the centre of the earth. Me included! To get to La Mitad we took a bus from Quito and rode for about an hour heading outside the city, when we got there my teacher suggested we check out an interesting museum for a bit of history and the opportunity to try out some fun experiments. See the glass case below? that thingy that's on the right mounted slightly higher than the one on the left is an actual head, the shrunken head of a child and it's very old. A long time ago this one particular tribe used to hunt heads (head hunters) and they would shrink heads of their enemies and wear them on their necks..........sorry I don't know the full details or the entire history but check out the pictures illustrating this practice. The whole head shrinking process. Final results, the shrunken head is worn as a necklace. 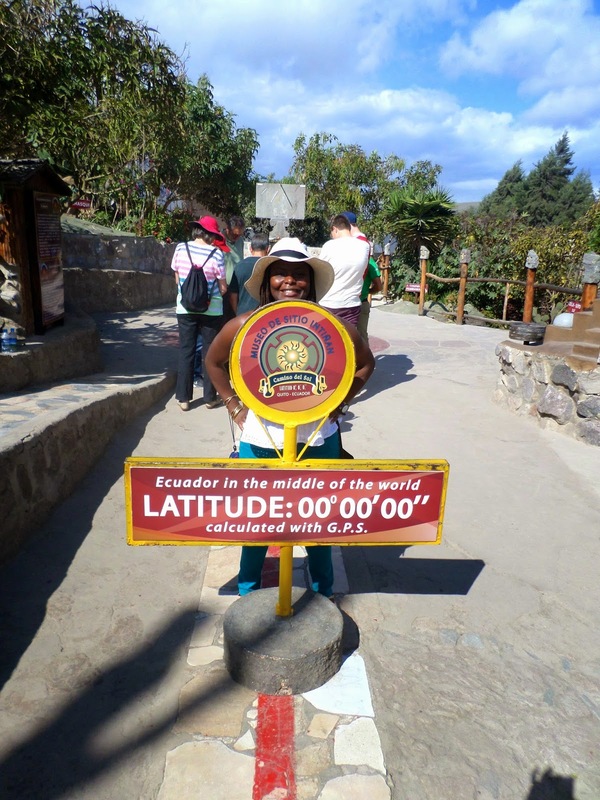 After a little bit of history we got to check out some interesting stuff related to being at the equator. Apparently this is where the real middle of the earth is, not too far from the monument and as you can read on the sign, GPS was used to calculate the accuracy of the location. I use the word apparently because I have read about several other locations being purported to be the middle of the earth so I don't know which is which. Ooh! well, I'll take this one. 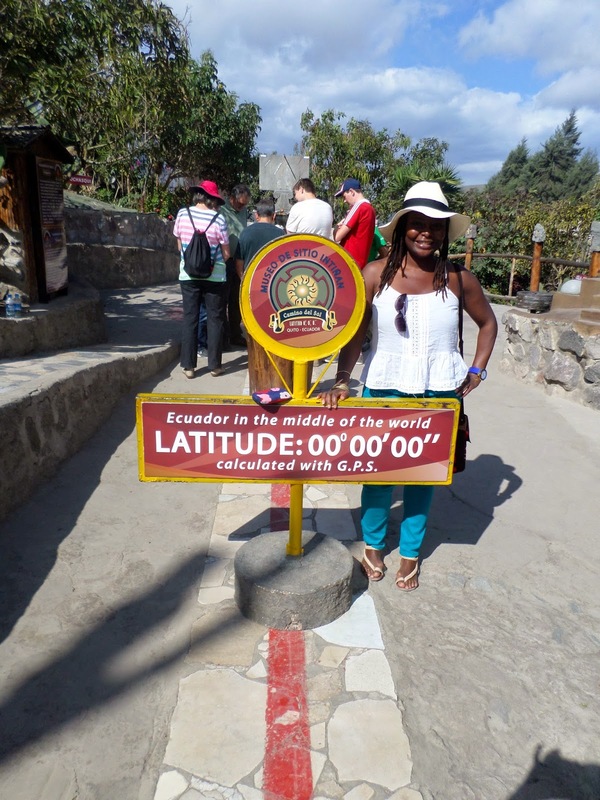 I got to stand on either side of the hemisphere (southern and northern) and it was an earth shattering experience..........not! but it was cool never the less, gotcha din't I? 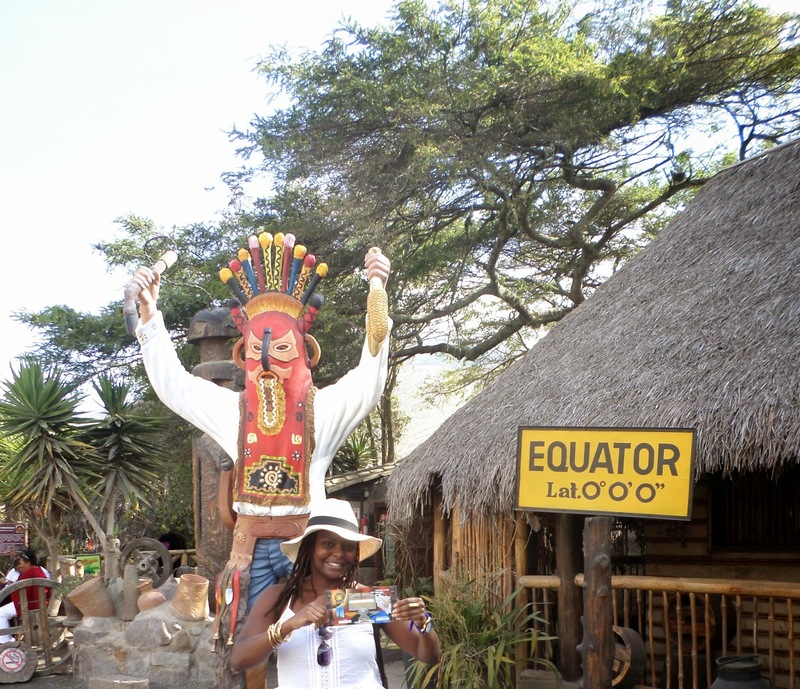 The drunk driver test, turns out that being at the equator does mess up with your balance. 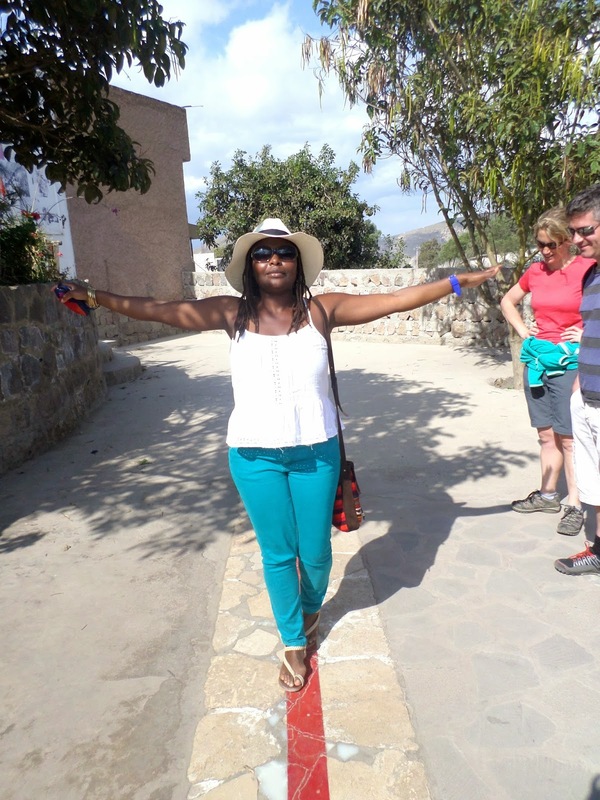 I was instructed to close my eyes, lift my head up, stretch my arms and walk along the straight line taking tiny steps. I did lose my balance but I have to say though, I just tried this in my room and guess what? I lost my balance as well! Balancing an egg on a nail, it is possible but requires a lot of patience! at the end certificates were being handed out to those who successfully balanced the egg. Guess who got her "egg master" certificate? okay in all honesty I never managed to balance the egg but the guide who was showing us all these cool stuff gave those who didn't balance the egg a certificate for effort so yay! to me........effort still counts right? That's it folks, it was an interesting day and I got to check out some interesting stuff plus practice my conversational Spanish with my teacher since that was the point of having an activity outside class. Turns out the salsa club I was so excited about just closed down for business, there goes my plans for salsa Wednesdays but I found out about another salsa club that I want to check out this weekend. I will let you know how it goes. My hair is 100% real and natural, I have been asked so many times if my hair is real and it doesn't bother me at all because a lot of people here are not used to seeing my style of hair. After they find out it's my real hair they usually want to know how I make it and they can't resist touching it. I don't mind it because they are just curious. 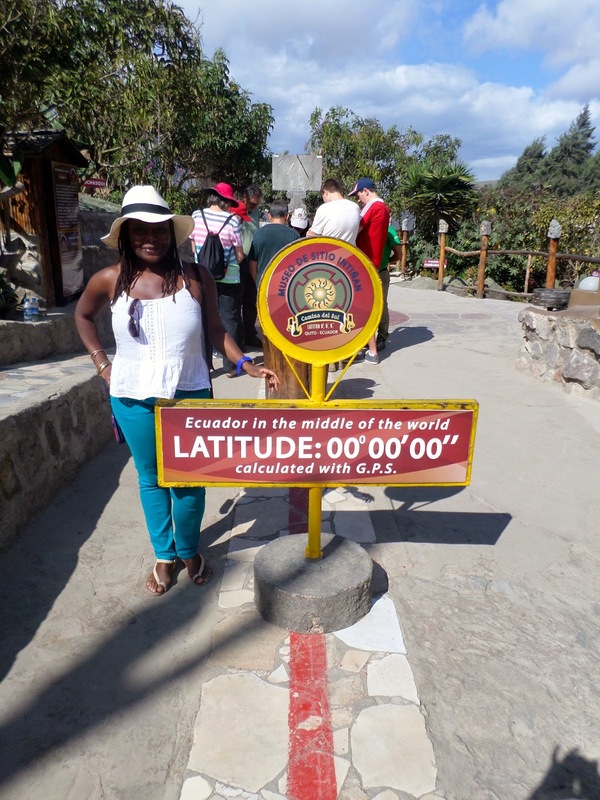 Kenya also lies along the equator. Turns out there is a sizable number of Cuban immigrants in Quito and they even have their own barrios. Remember the artsy guy that one of my Spanish teachers introduced me to? he took me to meet some of his Cuban friends and we got to hang out last evening which was really cool. One of his friends is a musician and dancer so she said she can teach me some Cuban style salsa moves, I should be meeting with her this Saturday. I still can't get over how dirt cheap public transportation is over here. On our way to La Mitad we paid 40 cents to get there, the trip took two hours back and forth so in total that was 80 cents! buses within the city cost 25 cents. Whoop! Whoop! 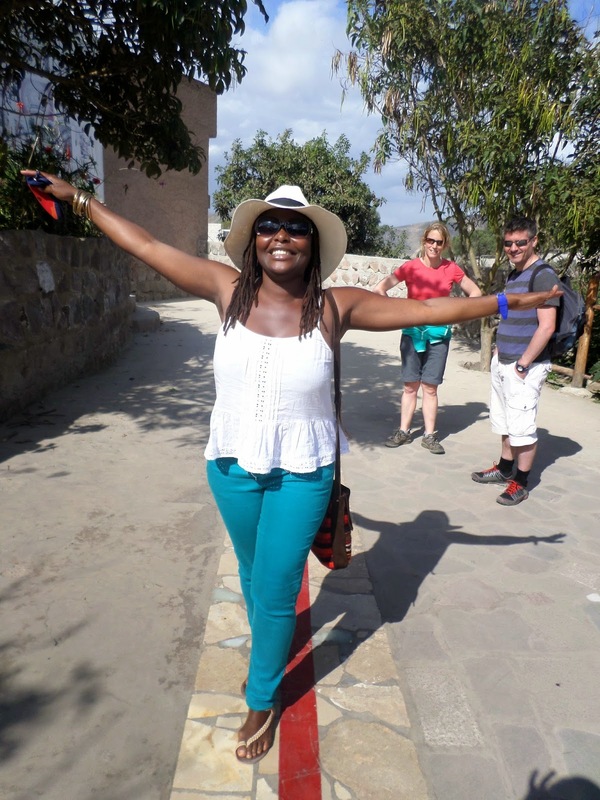 thanks to my healthy life style in Quito I have lost 4 kilos or roughly 9 lbs. It may not be evident in the pictures but I sure do feel it and see it in how my clothes fit plus the scale tells me so. I find it funny how some men will pass you by on the street and lean in whispering preciosa. I am usually torn between laughing or keeping a straight face to avoid further unwanted attention. Sometimes I just smile or if they include a greeting with the compliment I answer back and keep it moving. Drama! I have some friends I have made from the Dominican Republic and Ecuador and already there is some scandal. Turns out there are a lot of Nigerian immigrants in Quito and my Dominican & Ecuadorian friends all have Nigerian boyfriends and so do all their friends. As it so happens, one of the Dominican girls I know had a fling with the boyfriend of one of my Ecuadorian friends. Talk about a small world! she said she didn't know he had a girlfriend at the time and she gave me a lot of dirt about the guy. I am torn between telling my Ecuadorian friend or just being a silent spectator because I don't want to be dragged into any drama. The Ecuadorian just broke it off with the guy because of his shady ways so really, what's the point of telling her what she already knows right?